Another hilarious adventure for Billy and the Hoove from bestselling authors Henry Winkler and Lin Oliver! Billy Broccoli is used to getting expert advice--wanted or not--from the ghost with the most, Hoover Porterhouse! The Hoove has smooth moves and a silver tongue...and he isn't shy about sharing his words of wisdom! But when a night at the museum finds Hoover face-to-face with the ghost of a powerful Chumash Indian princess, his brain turns into mashed potatoes. Now the tables are turned and it's up to Billy to help Hoover find the words he needs to make a new friend. 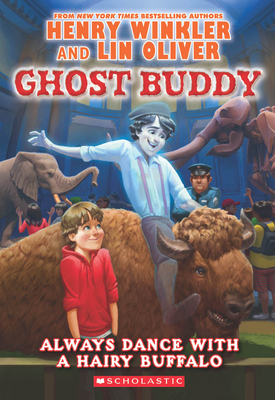 "This title is chock-full of nuggets that will have the boys cheering...What's more, parents and educators will cheer when Billy stands up to Rod without resorting to bully tactics." "Readers will root for Billy to conquer his klutziness as well as the bully; his final feel-good triumph is satisfying." "The story will amuse young readers, reluctant readers, and high-interest, low reading ability older readers, particularly boys."